with an easy-to-follow, step-by-step writing system. Hi there, I am Chazda Albright, co-founder of GreatStorybook.com and the Academy. “5 Story Book Deal” consists of information for people of all skill levels whether you’ve been writing for years or if you’ve never written a single completed story. This course will benefit you and dramatically transform your writing into an effective and engaging story. This is not just for people who want to create illustrated storybooks, but a complete Writing System! “I had no idea how much I needed this course, I have gotten so much out of it. Chazda has been an amazing mentor. I could not have written any part of this book without her and I cannot say enough good things about this course. my story idea is any good? There are no bad ideas, just poorly executed ones. That said, there are specific ways you can test whether your story idea has any potential on the market or not. I’ll walk you through those methods. I’ll also test your idea myself, and will tell you whether it could gain any traction – and what you need to change or tweak to give the idea better shoes. Because this is for an illustrated storybook, this is a question with a multi-layered answer. We’ll go over this as well, and for this course I’ve developed worksheets to help you through that. These are new worksheets designed specifically for the students of this workshop, so not anything you’ve seen on GSB before. The packet is specific to this workshop and what you’ll be doing in it. illustrator that I can trust? This is a really common problem. Most writers seeking an artist aren’t really sure how to pick one – and once they do, they pick someone who is flaky, unreliable, and impossible to keep committed to any semblance of a deadline. In this class, I’ll explain how to find an artist and how to be sure they’re ready to operate on a professional level. I’ll also go into detail about how to establish a professional working relationship that is legally binding without being stiff and strange. I’ll show you how to panel your story, how to create a professional manuscript for the illustrator, and how to pace the story so that it’s fun to read. Whether you illustrate the story yourself or decide to work with someone else, you’ll absolutely need this in your pocket. the text and pictures are well paced? Even for advanced writers, this can be a little tricky sometimes. This course will provide the essentials you need to know while crafting your story, and then you and I can go over your specific manuscript together. That’s really the best way to convey this: learning by doing. should I keep or throw out? This is about editing, and it’s very difficult to edit our own work – even with close friends or loved-ones chipping in with editorial remarks. In this class, you’ll be prompted to meet certain writing actions along the way. I’ll then edit your work, make comments and suggestions, and expect you to follow-up by sending me a changed script. The information was clear, informative and excellent. I have done the research – and created what I couldn’t find anywhere! When I decided to dive into illustrated stories, I felt in my gut that I would find a comfortable home there. I had always wanted to try my hand at it – and once I became a mother, there really weren’t any reasonable reasons to put that idea aside anymore. I started to do research on the process and on the genre of “children’s books” – only to find that children’s books isn’t a genre at all (it’s only a vague, partially defined demographic), and that there just aren’t any good books about how to create illustrated storybooks. The books that do – sort of – tackle (or promise to tackle) this particular type of writing and artwork aren’t really that helpful. They primarily discuss classic stories or they give advice on how to query, pitch or market your illustrated story. There hasn’t been much on the actual process of creating a storybook or even on what a basic storybook requires. So I studied a lot of other things, like writing for film, graphic novels and the like: other visually-driven methods of storytelling. And of course, I studied the storybooks that I really love and picked-apart the books I thought were “just ok” – because I needed to know WHY the “just ok” books weren’t as good. In doing this, I started stumbling my way through a first draft of my first illustrated story for toddlers. It was cute, but it wasn’t good enough. There were some problems. It took twelve more drafts before I got it right. A book producer was very interested in picking it up but I decided instead to publish it myself. 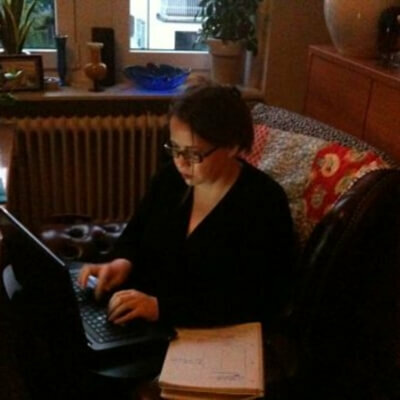 Since then, writing new stories has become an increasingly smoother process, because – well, I developed an actual process. It never occurred to me that my storybook process might be of help to other people until just recently. (Honestly, I don’t know why I hadn’t thought of it before.) I’ve been getting a lot of requests and questions about how to start writing a storybook – which really translates into not knowing where to begin. My process walks you through all of it, start to finish. The process I’ve developed for a classic illustrated storybook is pretty painless and straightforward. Once you’ve learned it, you can write a manuscript in a week, make your edits, plan your blocks, and get to work on the illustrations right away. In short, you can complete your book entirely within two months or less (depending on how quickly you can create the artwork). What is in the course modules? In this important first step, you’re going to create the protagonist for your book series. You’ll discover the role of your main character, what drives them to act the way they do, and how this character will ultimately determine the plot points for every story they’re in. In creating a story with illustrations, looking for and choosing your illustrator is a key step, one that you should already be thinking about before you’ve drafted the first story manuscript. Here, you’ll find out how to look for an artist with the right style, how to determine whether they’re really the right person for your project, and how to deal with that person to build a lasting and happy working relationship. Includes legal issues and sample Agreements. The lessons in this section are all about the finer details required to craft your first manuscript draft. You’ll choose your genre, establish concepts for the first five books in your series, and bang-out the other side-characters for the first story. You’ll also get a run down of what’s required in the Illustrator’s Manuscript and the Editor’s Manuscript, so that even before you’re ready to start hashing-out the plot points, you’ll already have a good idea of what it is you’ll be producing. These lessons are all about the actual plot and how your story builds, page-to-page. You’ll be able to send Chazda the first draft of your storybook manuscript – the one you want her to check for you with an editor’s eyes BEFORE you send it to your illustrator. This is all about getting your story refined and ultimately on the market. You’ll learn how to self-publish and you’ll also learn how to pitch your story to editors and agents in today’s market. You’ll also get some valuable marketing how-to, great tips you’ll need to apply whether you’re self-published or traditionally published. You’ll learn how to find out if a story concept would have traction on the market, you’ll get Chazda’s personal tips, feedback and editorial remarks, you’ll have a clear concept for how to carry your series to a solid, satisfying end and you’ll have a greater insight into what makes readers fall in love with a story – and how you can create that kind of loyalty with intention, every time you sit down to write. I know what it’s like to have little or no money, and it is important to me that this course be something anyone with the desire to really DO THIS could easily join without hurting their bank balance. If you want to write, you need to be able to eat! Most writing courses offering about half of the video course material charge $700-$1200 – and that’s without any personal time from the instructor. When you hire a writing coach for this kind of help, the fees add up typically to $5,000-$10,000 – and they deal only with a single project – they don’t explain how to apply any writing tools or know-how to future projects. YOU WILL BE PAYING ONLY $29 A MONTH FOR 12 MONTHS. Warning: This is the Special Launch Price. After this, we’ll need to gradually increase the price to keep registration numbers manageable. I’m so confident “5 Story Book Deal” will work for you, I’m putting my money where my mouth is. If you go through the modules and don’t get any results, I don’t deserve your money. 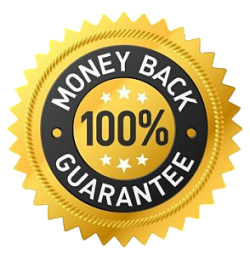 All you need to do is request a refund within 30 days, and your investment will be returned to you 100%. No questions asked (other than to improve the course, of course). If you think there’s even a slight chance that “5 Story Book Deal” can help you, you should enroll today. So, if you decide it’s not for you within 30 days, you’ll get a full refund. I’m happy to offer this risk-free guarantee. I don't write Illustrated Stories. Will this course work for me? Absolutely. This system shows you a universal approach to planning, structuring and writing your story and your series. It works for any kind of genre or demographic. I demonstrate it with Children’s Books, because they have the added benefit of concentrating your writing as much as possible. But you can also apply it when you write any other kind of fiction: Romance, Mystery, Sci-Fi, Fantasy, Teen and YA. Anything you can think of, really. I have already taken other writing classes. How is this different? Of course I don’t know exactly which classes and courses you have taken before. But I can still tell you that “5 Story Book Deal” is unique; I created it because I couldn’t find anything like it on the market. Not only will I give you a simple, well-structured, step-by-step system to creating your stories, I will also personally take you by the hand and help you through it. Is it right for you? I honestly don’t know. But if you are confused and overwhelmed by other writing advice, and if you are struggling to start or finish your stories, I think I will help you. Plus, you have nothing to lose. If it truly is not for you, just ask me for a refund (read below for my policy). I don't have much time to write or take a course. Should I still take it? Yes. One of the major benefits of an online course such as this is that you can go through it at your own pace. This is a self-paced course with indefinite access to the private site where you can watch the training videos, listen to the audio recordings – and read the transcripts, guides and worksheets as many times as you like. If you do want to hit deadlines, I will help you do that with accountability. But if you want to take it slower, you are absolutely free to do so. I am not sure I am ready or even capable of writing a whole series of books. Do you have something for beginners? Don’t worry! This course is for writers of any experience level. Even if you have never actually written a story to completion, this will help you get from start to finish. I try to keep the lessons as clear and down-to-earth as possible and if you should struggle with something, you can always contact me for help. Disclaimer: Neither Chazda Albright nor “5 Story Book Deal” nor GreatStorybook Academy promise any specific results as a result of purchasing this training (e.g. you have to put in the work) and any results, testimonials, or figures quoted on this page are not intended to imply guaranteed financial gains or other successes.